September 7th, 2015, week 36, contractions, at the hospital I was rushed to an emergency C-section. A beautiful baby girl was born to the world! At the recovery room your father, (a doctor himself), had told me your sugar level was low and you were to stay to be monitored for a couple of hours before being brought to me. Your sugar was 22 and insulin level 14. 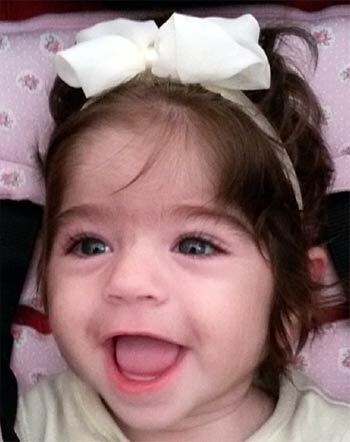 At Shaarei Tzedek hospital, based in Jerusalem, ALL babies’ sugar levels are regularly checked at birth. Couple of hours turned into 24 hr in the NICU. I was even too week to come and see you. After what seemed like forever your daddy wheeled me in to see you and placed you in my arms. So beautiful and calm. Your hospitalization stretched out to be a month long hospital stay at the NICU. At times we were not allowed to even touch you, for the week you had received high levels of glucose through your umbilical artery because the dosage through the vein was just not strong enough. So we sat by your side and sang and sang for hours long so that you could at least hear our voices. Before being discharged your dad ran from pharmacy to pharmacy to try and obtain the Diazoxide, baby calorie, hydrochlorothiazide- so that once you were ready to come home – it would be soon as possible with any further delay. This was no simple task. You will grow to learn just how unique you are. In and out. CHI is a rare genetic disease and the medications used are not commonly found. When you came home, what a joy- your sister and brother were thrilled you had finally arrived. As for your father and I, we were full of concern and worry for you. Your father coming from the medical field, more so than I, being a physician, he knew the potential complications, the intensity and the importance of being on top of things. I was more at the bliss of ignorance stage. I had cried a lot the first month you were born, prior to the final diagnosis, hoping, praying that this would all be transient, that your sugar levels had dropped wishfully due to the gestational diabetes I had during your pregnancy. Hopefully this would all be a passing nightmare which we would all awake from and you would be a normal baby with a normal life – not being pricked every couple of hours, often woken up to be fed, have devices injected into your frail gentle body so that we can constantly monitor your sugar level to prevent possible brain damage – this is not the life we had planned for you. Now that the blood test has confirmed the worst of our fears- Persistent Hyperinsulinemic Hypoglycemia of Infancy- we had to deal with the situation. For your father, difficult as it may have been, all you had to do was smile your big gorgeous smile, and we knew it would all be ok. Ups and many downs but we will give you our very best. Life has changed us since you came to our life and we are so thankful for that! We thank God for having chosen your dad and I of all people to be your parents!!! Running from endocrinologist, to weekly physical therapy due to your hypotonia and currently working on getting an appointment at the eating disorder clinic. Didi, we are trying to give you the best possible care and are thankful you were lucky to be born in an era with abundant medical knowledge which hopefully will advance even more, speedily, for your benefit. When your sugar drops, the sensor on your body has a mechanical error, a medication bottle falls and breaks- we lose more than a heart beat and I am unable to function at least till the next morning. and when the new day comes, it brings with it new energies for hopefully a new and wonderful day, challenging as it may be. The following words from Bruno Mars’s song “Just the way you are” were not intended for you ,but at a simple glance suit you so perfectly. Slightly changed, this is dedicated to you my love, your capturing smile that you throw to just anyone around you, your awesome eyelashes that don’t go unnoticed and the positive light and energy that just shine from you!